Opening a hair salon is like making a dream come true for quite a number of people working in the beauty industry as well as for the businessmen who are looking for opportunities for successful investments. There are already a significant number of hair salons, yet the demand for them isn’t diminishing. But, of course, to open a successful salon requires time, efforts, thorough planning and thinking. So, why are some salons more successful than others? What makes certain salons stand out and remain prosperous? Not so long ago, I’ve decided to have my hair cut and chose a hair salon nearby. I’ve shown the hairdresser some variants of short hairstyles I was particularly interested in. She suggested the type of hairstyle that would particularly suit me, and after we both agreed on it, she started preparing everything for the work. During the process, we started talking, and it appeared that my hairdresser was also the owner of the salon. So, I was very curious to learn how she manages the business and how it all started. 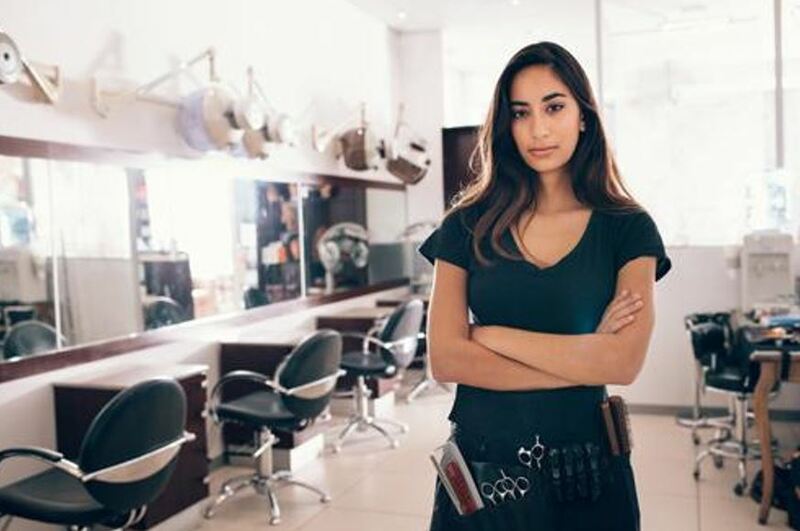 She said she was willing to help others succeed as well, and so she shared some tips for running a successful hair salon with me. First, you absolutely have to love what you are doing. Without love, no matter how banal it might sound, nothing can succeed. So, if you aren’t passionate about what you do, the chances for the business to prosper are very low. One has to be very patient as the business can evolve very slowly, and if you don’t love what you do, you are more likely to give up soon. Second, learn everything you can about the business. Of course, it’s ideal when you’ve worked in the industry at least for some years and have learned everything from the inside out. Yet, it’s not necessary to work directly in the industry; if you are a businessman looking for the ways of successful investments, you can open a successful hair salon as well if you do a proper research, talk to people who’ve been working in the industry and learn everything you can about it. Third, create a good and detailed business plan. Once you’ve made a final decision to open a hair salon, don’t start anything without having a clear plan with all the written steps. It doesn’t have to be rigid, and a lot of things might change in the process, but without the plan, you can make too many mistakes in the process. If you aren’t sure how to write a good business plan, you can always consult professionals and ask for their help. Also, it’s a good idea to attend some seminars and business events and talk to people who’ve already gone through the whole process. Fourth, choose the best location you can. Location is going to matter a lot, as your hair salon should attract attention. It might be quite challenging to find a perfect location, but don’t get in a rush. It’s worth waiting some time until you can find what you are looking for. In the long run, you want a successful business, don’t you? Fifth, value your customers. Like in any business, everything goes around the customer. Make sure your clients are satisfied with the service, the treatment, and the overall atmosphere in the salon. You can even ask for the feedback and suggestions for improvements and whether or not the clients will recommend the salon to their friends. Make sure you take into account all their suggestions and put them into practice. Sixth, don’t forget about the staff. Try to hire only the best people who aren’t only excellent professionals but are also communicative, pleasant, and socially interactive. Don’t forget to motivate the staff by giving them extra bonuses or organizing some interesting team buildings. Seventh, create a user-friendly nice website for your hair salon. In today’s world, having a website is a must for any type of business. Unless you are an IT gig, hire a professional who can make an appealing and functional website, as you wouldn’t look professional without the website. I looked at myself in the mirror as the hairdresser finished her story and styling my hair, and I felt satisfied not only because of my new beautiful haircut but also because of the overall pleasant atmosphere in this hair salon. And I know that I will definitely come back here. Besides, I still feel very inspired by the story of taking the courage, overcoming the challenges, and starting one’s own business.